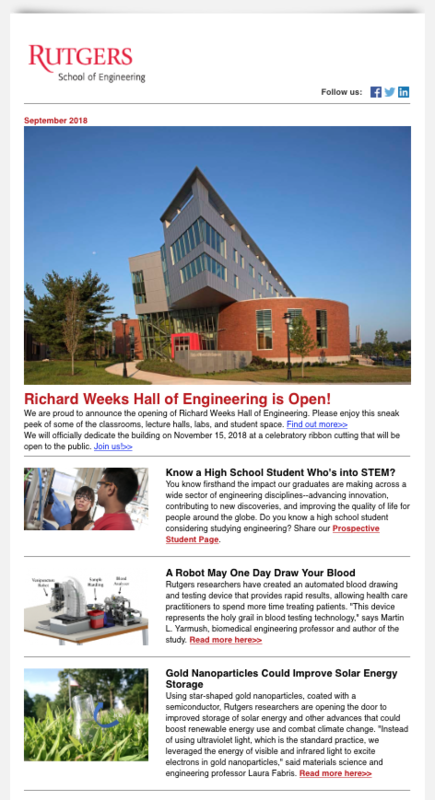 This is an exciting time to be an engineer and an exciting time to be at Rutgers School of Engineering. With faculty conducting research in areas as diverse as developing materials for lighter, yet stronger body armor, designing a robotic bridge maintenance system, and building a powerful high-performance computing center, the School of Engineering is engaging students in an engineering experience that will prepare them for a 21st century workplace. Our academic program includes nine undergraduate programs, seven graduate programs, several affiliated research centers, and over 200 faculty and staff members. Each year, the school continues to grow in size and prominence as it educates and trains engineers of the future to operate in an increasingly global, diverse, and complex society. 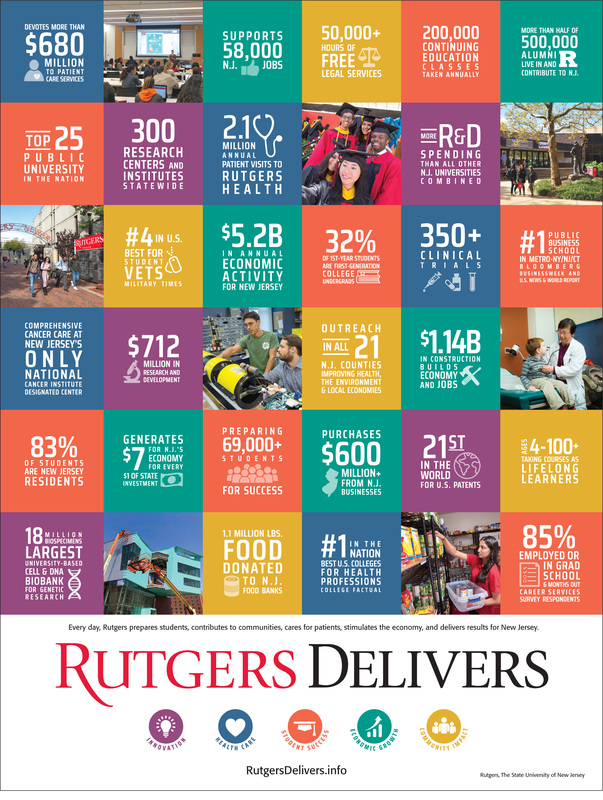 Since engineering was established at Rutgers in 1864, our educational mission continues to be steeped in academic excellence, creativity, integrity, and service. We are a community of scholars where students engage with faculty, industry, and alumni through cutting edge research, desirable internships, and meaningful mentoring. More than 20 student chapters of professional and honor societies provide an opportunity to engage in leadership opportunities as well as participate in extra-curricular activities such as the National Concrete Canoe Competition, Engineers Without Borders, and the Rutgers Formula Race Team. The field of engineering is a gateway to an exciting career of discovery across a host of disciplines. 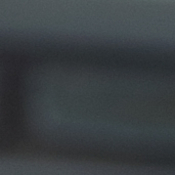 I hope you will take some time to learn more about the School of Engineering, both online and in person. We welcome your interest and your passion and hope you will join with our community of discovery, using our talents to make life better, safer and more sustainable.